You and your guests are cordially invited to attend the US-Japan-Korea round-table breakfast session! 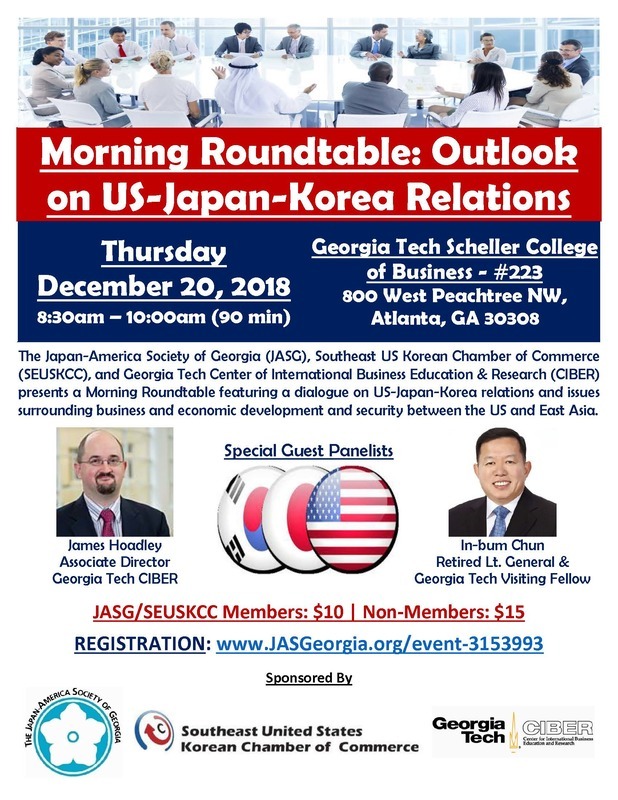 This round-table is supported by Southeast United States Korean Chamber of Commerce, The Japan America Society of Georgia, Georgia Tech CIBER, and welcome members and friends to register and attend. For friends you invite to the event can also enjoy the benefits by using Code: "tomochingu". 신청은 링크를 참고 하여 주세요. Jae Kim, VP of Membership of SEUSKCC at jae.kim@aprio.com or via direct call: 317-445-6983 for details if need.